The statistics can seem frightening. The American Cancer Society’s most recent estimates for oral cavity and oropharyngeal cancers in the United States show that approximately 39,500 people will get oral cavity or oropharyngeal cancer. Of this number an estimated 7,500 people will die of these cancers. 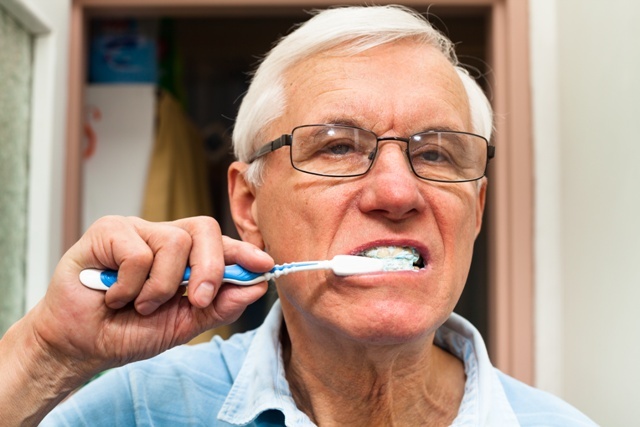 While oral cancers are much more rare in the US than other forms of cancer, they are still of real concern. The most prevalent place for oral cancers is on the tongue and on the floor of the mouth below the tongue, although they can occur just about anywhere in the mouth. Also, cancers are more prevalent in smokers and alcohol users. The most important thing to remember: Early detection is the key to long term survival. Regular visits to the dentist is essential to evaluate if there is a suspicious lesion present and determine the proper procedure. If anything looks unusual, a brush biopsy will often be taken. This procedure is very similar to a PAP smear, where a small brush is run over the lesion and the cells obtained are examined under a microscope in a lab using computer-assisted technology. Other times, it might be determined that an actual biopsy is required for a better assessment. Either way, although rare, it is critical to detect oral cancer early to increase the likelihood of long term survival. Please call (203) 666-2819 to get more information on how we can help you can maintain optimium oral health. Where can I find a Stamford Dental Office? Where can I find a 06905 Dentist?